Do you have gum disease? Well, you’re not alone. Nearly half of American adults over 30 have periodontitis, an advanced form of gum disease. At Donald Marks Family Dentistry, we strive to help patients in State College not become part of this statistic. 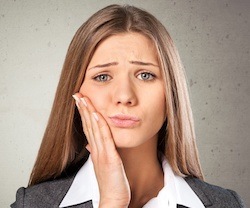 Our experienced dentists and staff can help you overcome this common disease and regain your healthy, happy smile. If left untreated, gum or periodontal disease can have severe and damaging effects on your oral health. It starts out small with red, swollen gums, but over time plaque and tartar buildup allows bacteria to irritate your gums and makes them recede and separate from the teeth, exposing the roots of your teeth. As a result, pockets can form and trap more plaque and food particles, helping the infection spread to your jaw bone and supporting tissue. Eventually, gum disease leads to tooth loss and permanent damage to tissue and bone. The good news is that gum disease is treatable! If we find signs of gum disease, we can clear out the buildup to end bacteria’s attack on your mouth and prevent future reinfection. We most often accomplish that through procedures called scaling and root planing. 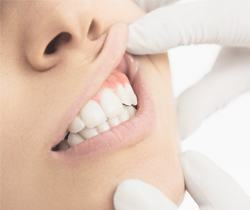 Basically used as a term for a deep cleaning, scaling involves using an ultrasonic cleaner to remove hardened plaque and tartar buildup both above and below the gum line with sonic vibrations. We are careful to address those pockets where plaque may be hiding from plain sight. Because we want to be as thorough as possible, it may take us a few visits to get rid of the buildup in your mouth completely. After scaling is finished, we then perform a procedure called root planing, in which we smooth out the rough surfaces of your exposed roots. That way, plaque will have a harder time accumulating there in the future. 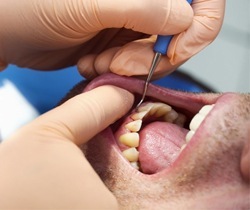 This procedure also helps your gums to reattach to your teeth the way they should. In the long term, this procedure can prevent you from getting gum disease again and suffering from its long-term ill effects. Scaling and root planing are some of the best ways to preserve your natural teeth for many years to come. We at Donald Marks Family Dentistry are dedicated to helping you regain your oral health and recover from periodontal disease. If you think you have gum disease, contact us for an appointment today!